In 2015 Audi demonstrated a luxury electric crossover concept car, the e-tron quattro, which sported OLED displays and OLED lighting in its frontlights and taillights. Audi is soon set to unveil its latest e-Tron concept, this time of a sportback edition, which also uses OLED tail lights. 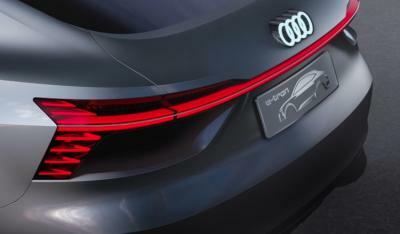 Audi did not show the new car yet, but did release the video you see above demonstrating the OLED taillights, and also the image below. In April 2016 Audi unveiled its 2016 TT RS coupe - with optional OLED taillights - the world's first serially-produced car to have OLED taillights. The OLEDs in the TT are produced by OSRAM.